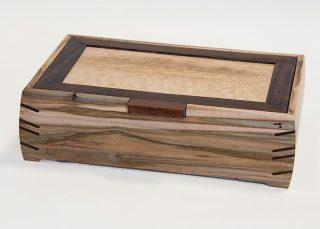 This gorgeous Jewelry box is created from highly figured curly maple with black and white ebony legs mortised into the mitered corners.The body is joined by Gabon ebony “butterfly” splines. 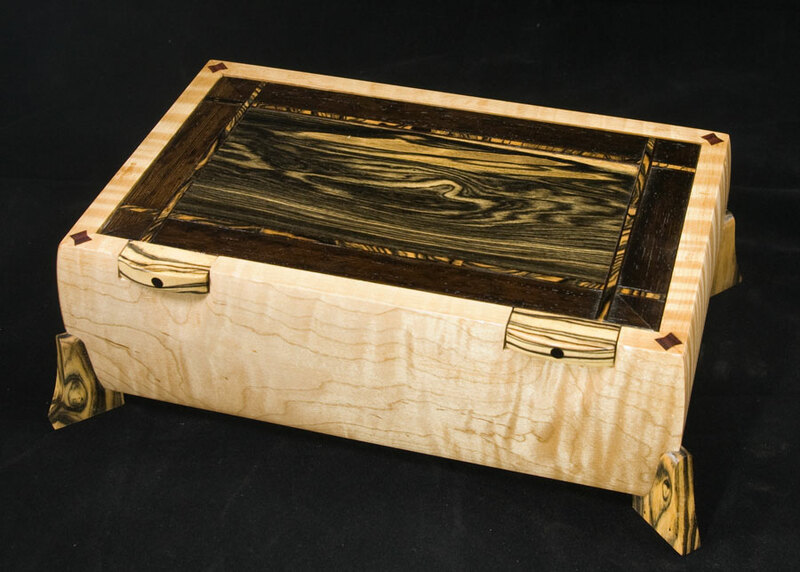 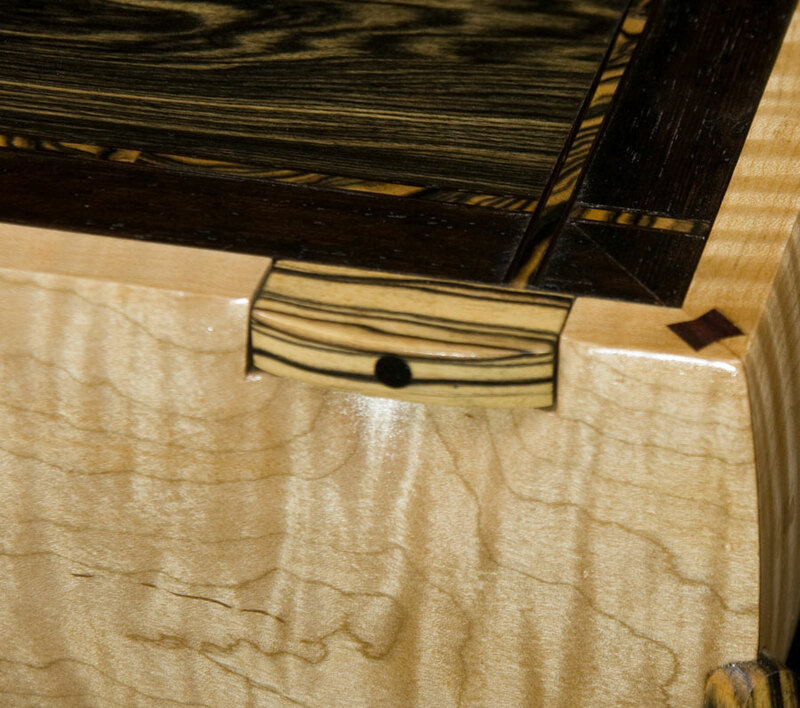 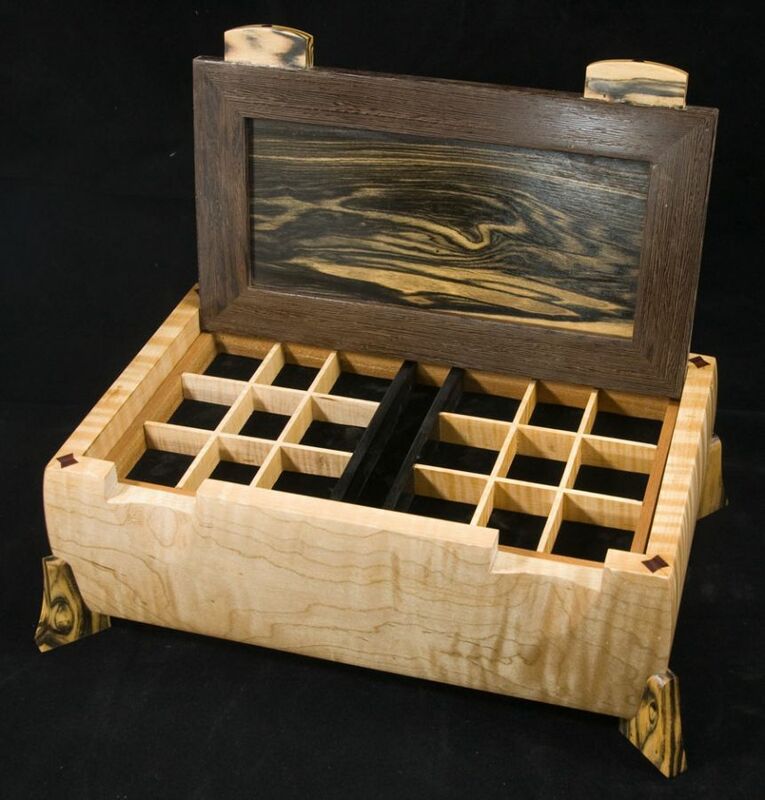 The lid is a black and white ebony veneered panel framed in wenge with a black and white ebony inlay banding. 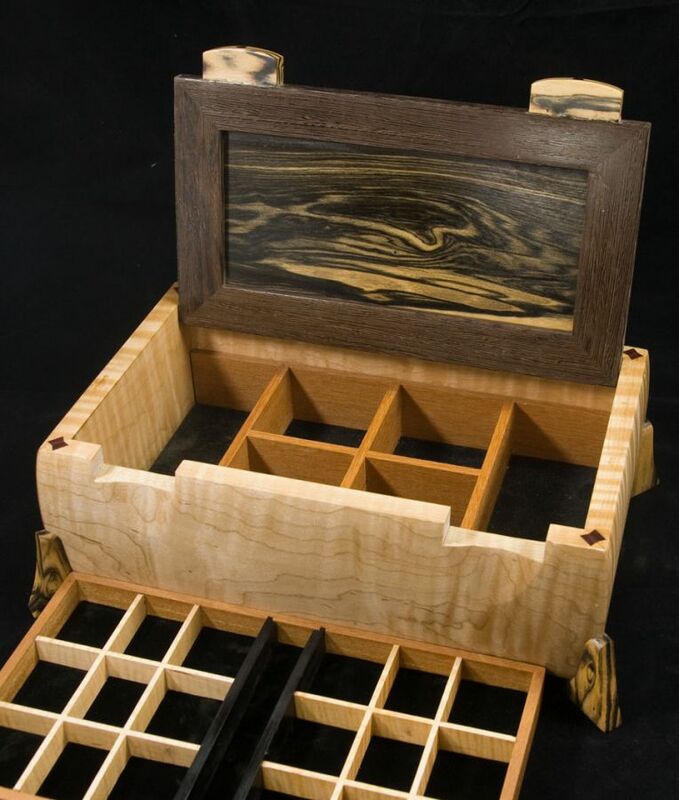 The twin lift tabs are solid black and white ebonyattached with a gabon ebony peg.The dividers and lift out tray are cherry, curly maple and ebony. 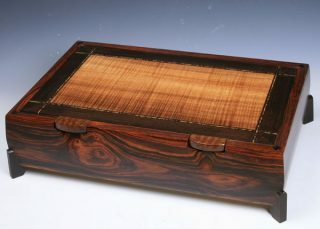 The tray and bottom are lined with plush black velvet This box is signed and all the woods used are listed on the bottom.